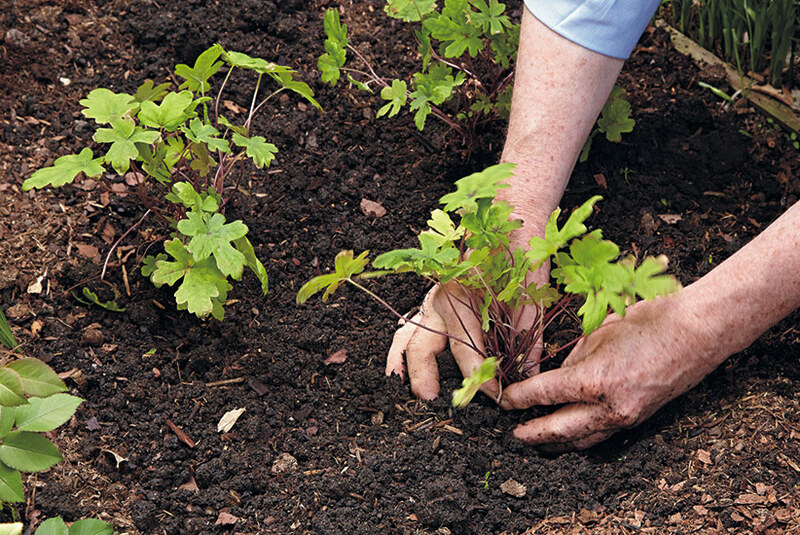 Save money with these steps to divide new perennials and get more plants for free. 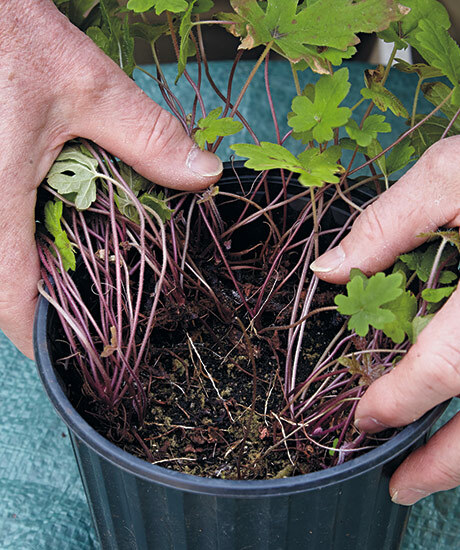 When shopping for new perennials, look for containers with lots of foliage, like the one above. 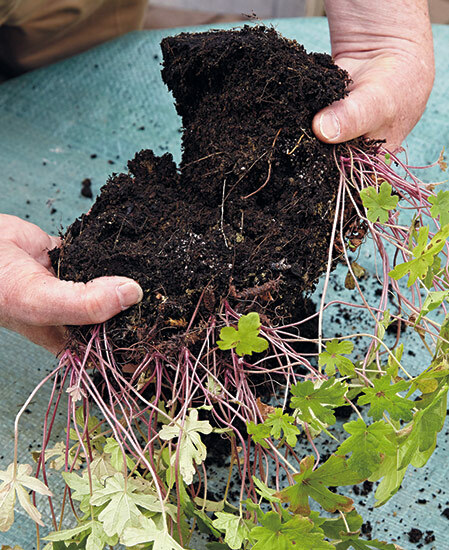 You can plant it as one clump, or make it cover a larger area by dividing it right away. 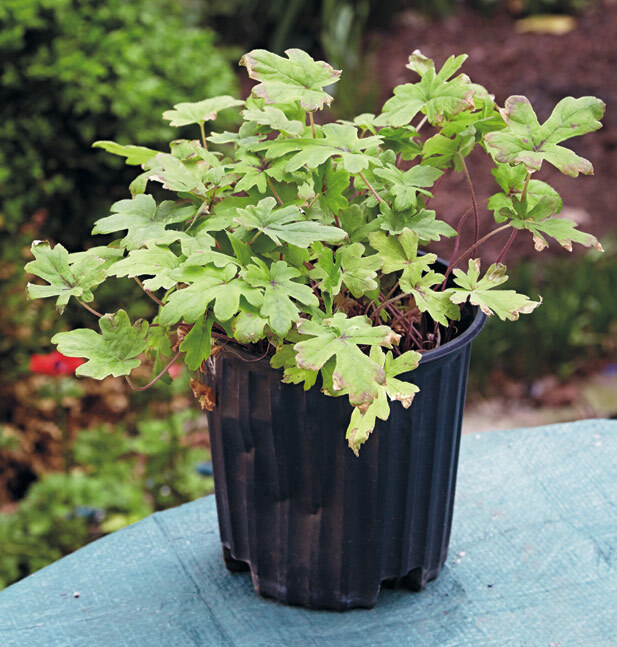 Follow along to learn how to divide a newly purchased container of foamflowers (Tiarella hybrid). It's all about the crowns. 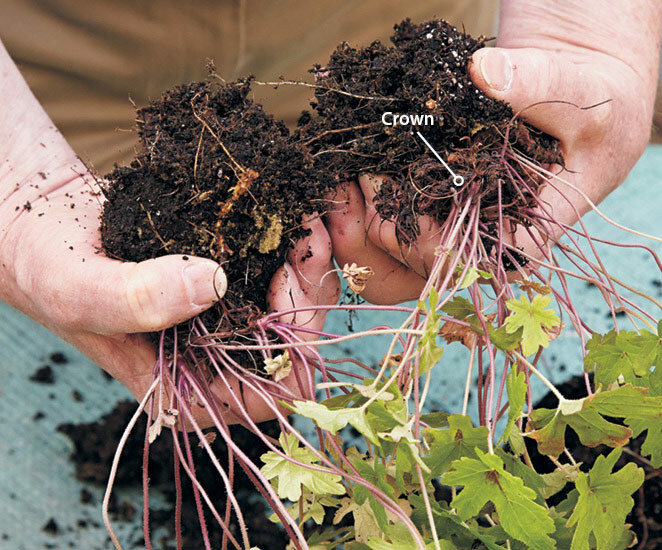 This gallon-sized container could be planted as is, but it has several crowns, or small plants, that can easily be separated into clumps. You can cut if you want, but it’s usually easiest to simply break the plant into sections with your hands. I was able to get three divisions from this container. Space the smaller divisions 10 to 12 in. apart. The one pot I started with is now three plants and fills a larger area—more plants for the same money.